Is LIFE STRESSING YOU OUT? Do you have DIFFICULTY MEDITATING? HAVE YOU TRIED ALL METHODS AND FAILED? Would you like to become less reactive in your life? There is a meditation method that works and you can learn it in one weekend. 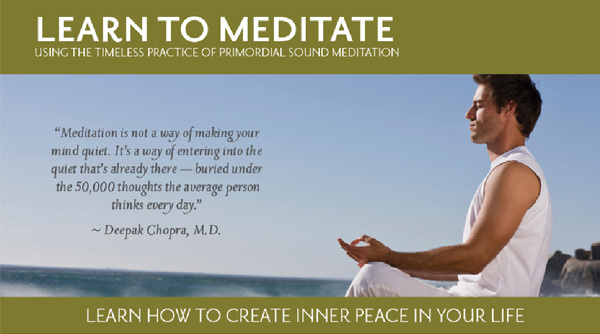 Primordial Sound Meditation uses individually selected sounds of nature called mantras to disconnect us from the activity of life. These primordial sounds are based on the vibration the universe was creating at the moment of your birth. MEDITATION is critical to developing intuition. By quieting the mind and all the ego chatter, we can hear the wisdom of the inner voice. 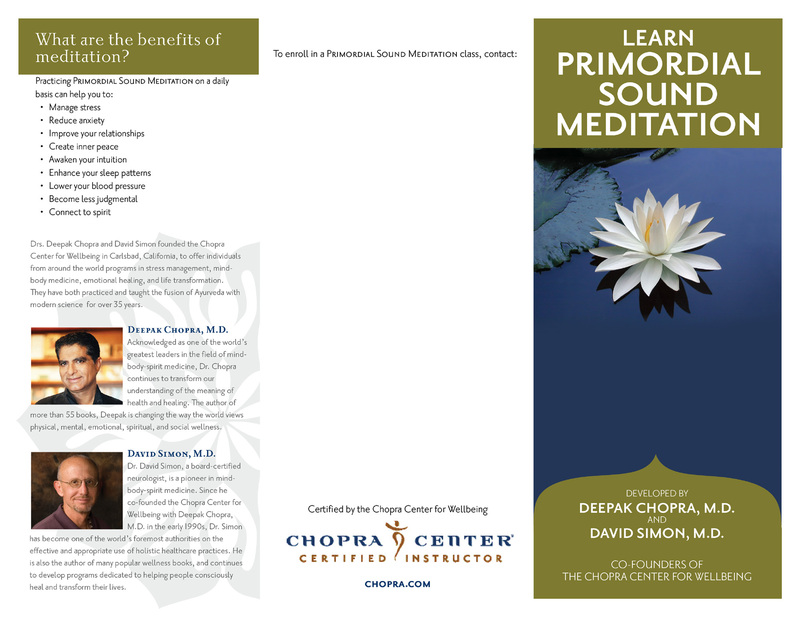 Recently my husband James and I became certified Primordial Sound Meditation instructors through Deepak Chopra's certification program. We are offering a meditation workshop at a significantly reduced rate of $295 (normally $395). IMPORTANT NOTE: Please send your time, place and date of birth in order to calculate your personalized mantra (which is based on the vibration/sound the universe was making at the moment of your birth). This information must be received ONE WEEK prior to the start of the workshop. For DIRECTIONS to CROSSINGS click HERE.